With the world facing a growing energy crisis because of limited oil reserves and carbon emissions causing global warming, China is dedicated to optimizing its energy management. The problem of energy shortage has been badly hampering the development of the country. Thus, in such age, success of the enterprise depends on effective energy utilization and management. It is commonly said that it is hard to perform energy saving reconstruction to the Chinaware ball mill. 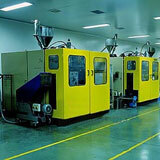 However, this machine always contributes at least 80% of the factory's total power consumption. To respond to the government's appeal, Gozuk launched a new series variable frequency drive - that can be used in the Chinaware ball mill. Field operation from a famous ceramic plant in Foshan, Guangdong province, shows that Gozuk AC drive has high performance and high reliability, which can help the factory secure about 10% production cost. Currently, the Chinaware ball mill adopts mains supply, which is inclined to cause material over-milling. The milling duration is comparatively long, and milling efficiency is not satisfying. The Chinaware ball mill adopts the star-delta slowly start mode or auto coupling reduced-voltage start mode, which both cause heavy starting current and huge impact to the grid and the device. High power consumption and high maintenance and repair cost. High starting torque that can meet the machine's loadage requirement; Ensure the motor to run smoothly and maintain its constant power characteristics. Must reconstruct the towage system of the Chinaware ball mill with the frequency conversion speed control technique that can guarantee normal operation of the Chinaware ball mill at low speed. Meanwhile, reduce the wear and tear risk of the device, so as to cut maintenance cost. Unattached low wind resistance cooling channel ensures high heat dissipation efficiency. Adopt the most advanced SVPWM technology, realizing rated torque output at low speed, powerful overload capacity, as well as various torque boost and V/F curve presetting. Several acceleration and deceleration modes for option, built-in PID, and parameters can be regulated online. 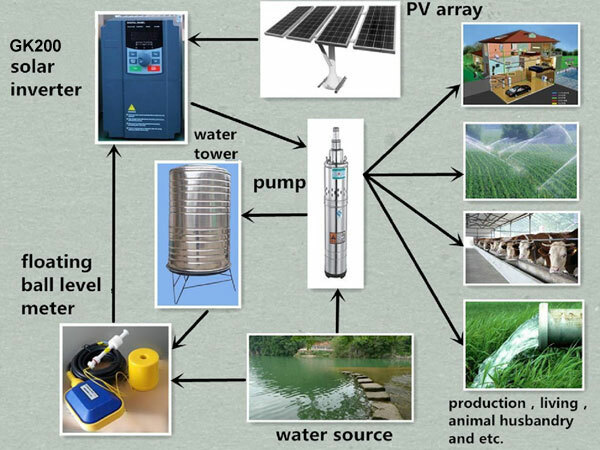 Perfect protection functions and fault analysis system that can satisfy various production requirement. The Chinaware ball mill can realize automatic control and can switch between the variable speed drive and mains supply. 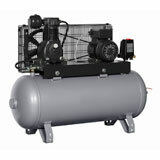 Through the VFD drive's automatic voltage adjustment function, the motor can achieve its highest efficiency. Starting current is only 1/5 of the previous, realizing soft start. Eliminate impact at start, and prolong the service life of the components, accordingly reduce maintenance and repair cost. With the built-in PLC multistep speed function, the user can set the milling time and automatic stop by the VFD, making operation more convenient. Satisfying power saving rate: The rate can hit 12-15%. The plant has totally reconstructed 37 Chinaware ball mills with 37 sets of Gozuk variable frequency drives. Take one of its 40T Chinaware ball mill as an example: the power of this machine's motor is 132KW, and actual working power is 115KW. This machine works 18 hours per day, and 30 days per month. So we can conclude that this machines' monthly power consumption volume is 115KW*18*30=62100kWh. After the installation of Gozuk GK3000 inverter drives, the average energy saving rate is 12%, so 62100 kWh*12%*RMB0.65 /kWh (electricity fare) = RMB4843 can be saved per month. The average price of the 37 sets of Gozuk VFD is RMB55000, so we can conclude that the ceramic plant can take the total investment back within one year. (55000/4843=11.3). And as the variable frequency drive can serve the plant at least 10-15 years, that indicates the VFDs can bring about RMB 60000 of net profit per year to the plant. In current society, effective energy utilization and management plays an important role in the development process of the enterprises. Gozuk will provide you with best solutions and confidence.